A Place at the Beach is a small condominium complex located in the Windy Hill section of North Myrtle Beach. 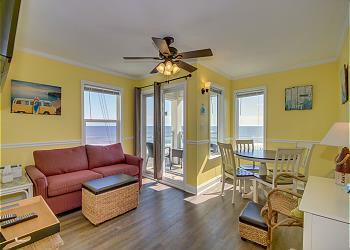 A Place at the Beach Windy Hill located in the Windy Hill section of North Myrtle Beach is located just a couple of minutes from Barefoot Landing. Sit back and relax while watching folks on the beach or head down to the beach and enjoy a nice walk or frolicking in the Atlantic Ocean. When it is time for dinner head out to Barefoot Landing, located about 1 ½ miles away for a good meal at the many restaurants that are available for your indulgence. Then take a relaxing stroll through the many shops that are available at Barefoot Landing in North Myrtle Beach. A Place at the Beach at Windy Hill has a hot tub and BBQ grills & picnic area with tables for your enjoyment while you visit.